We will go River market "Klong Bang Luang" to watch Thai traditional puppet show. Then relax before move by Thai massage for 1hour. Dinner at Thai street food market. You will get good chance to try a lot of famous Thai food. All are included. Arrive River market "klong bang luang" then walk river side to "Ban Silapin"
watch "Puppet Theater: this show is Thai traditional puppet show that control by 3people/1 puppet." at Ban Silapin or Artist house (Upon availability). Painting paper mache and have some Thai traditional appetizer together. Thai massage at river market to relax before next activity. Dinner Thai street food and also Thai traditional dessert. 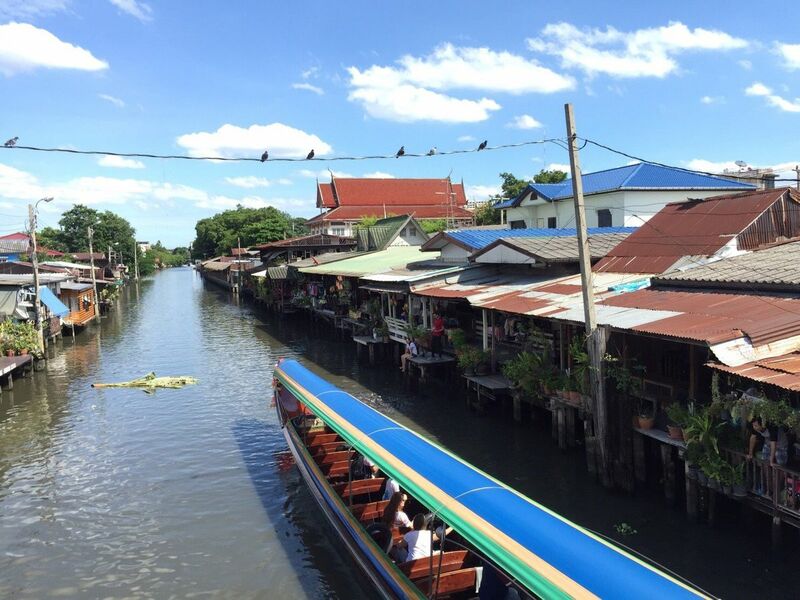 River market "Klong Bang luang" : to see river side life style. This market is combined together with art. Thai street food market "Talad Phlu": to have dinner together. Here is really big market with many famous Thai foods. Thai original living style was from river side. And this place can keep everything same as before. This place also try to keep traditional art.